Software designed to export contacts from iPhone to Android, Computer, Gmail, Microsoft Outlook and vCard (VCF) files. Export contacts to any source. Export iPhone contacts to Google Contacts, Gmail, Android, Computer, Outlook, vCard file or other iCloud accounts. Request additional source, e.g. CSV/XSL files, Office 365, SalesForce CRM, etc. 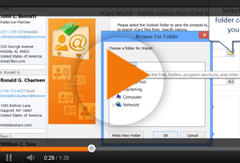 vCard Wizard Contacts Converter Pro Edition is the easiest way to export contacts from iPhone. 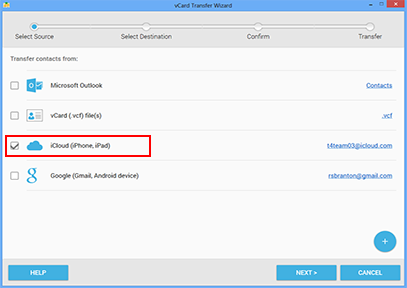 Enable iCloud on your iPhone and use vCard Wizard Contacts Converter to import contacts to the source of your choice. In just a few seconds, the contacts you have exported will appear in the source of your choice.